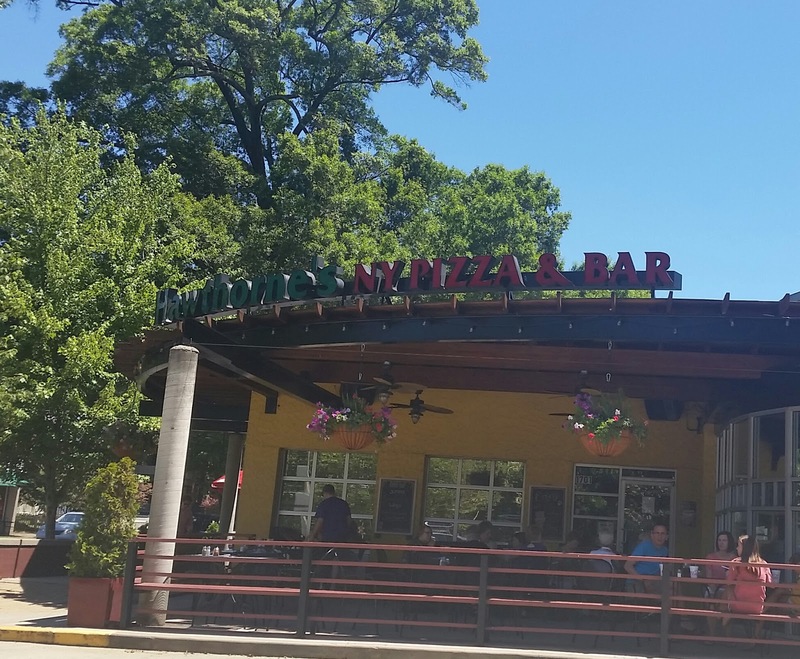 This edition of Excited about Eating takes us to the Elizabeth neighborhood of Charlotte and to Hawthorne’s New York Pizza and Bar. Elizabeth is named after Anne Elizabeth Watts, the only Charlotte neighborhood named for a woman. You can read more about the history here. Dora here. Don’t let this picture deceive you. We arrived right at eleven, and by the time we left, both inside and out was jammed. Hawthorne’s appears to be a popular place for locals as many people walked here. 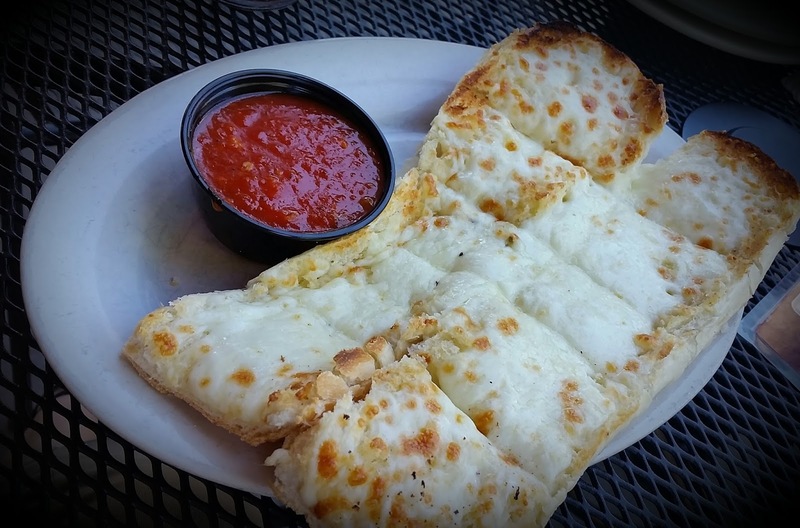 The garlic cheese bread appetizer was cheesy with just the right amount of garlic. It came out fast, the cheese bubbling and gooey, and browned to perfection. 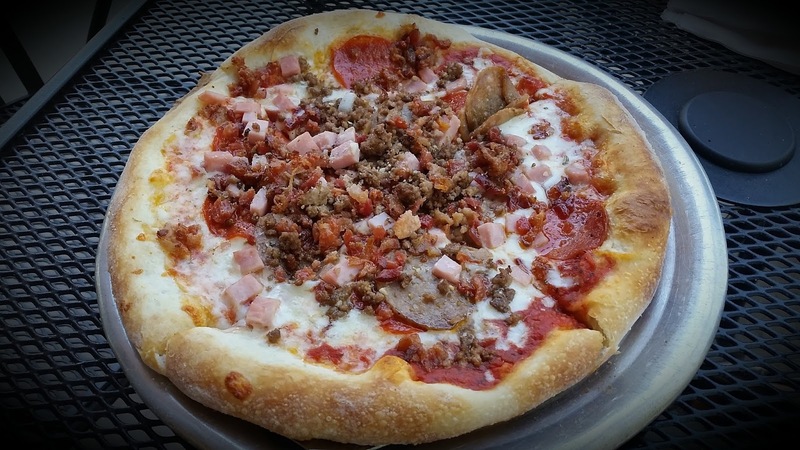 We wanted to pace ourselves, so we ordered the 9” Meat Eaters pizza, and we were glad we did. 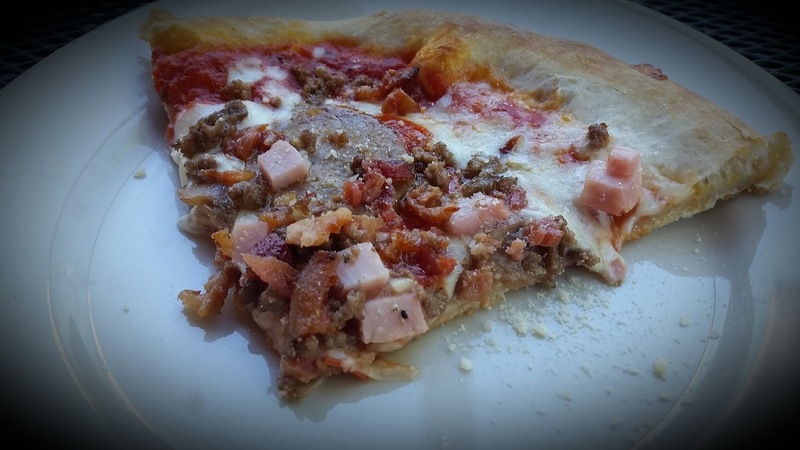 This pizza was loaded with meat (pepperoni, Italian sausage, beef, ham, bacon) and mozzarella. In each bite, I tasted all of the different meat flavors, and they all worked together. One thing we noticed, unlike other meat pies which tend to be greasy and heavy, this pizza was light with no greasy aftereffects. Dora here. I really wanted to order the Sicilian, but that only comes in GIANT size, so since we were ordering cheesy bread and dessert, I compromised on this. Not my favorite pizza, but it was good. I appreciated that it wasn’t heavy on the sauce or spice. 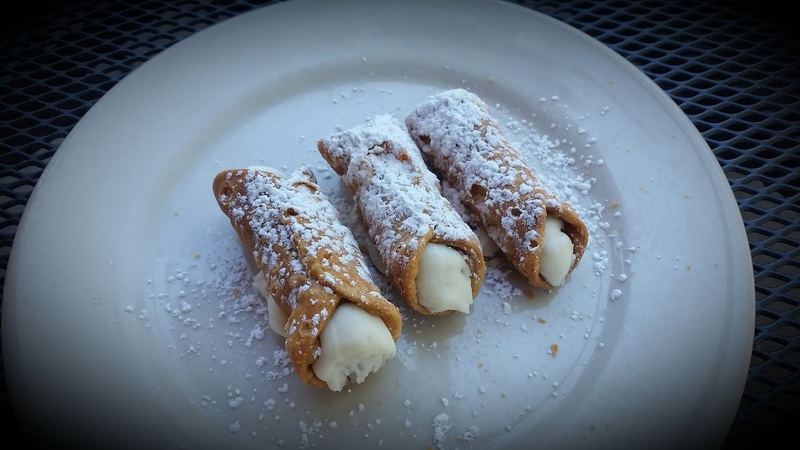 Check out the Cannoli Plate, three mini cannolis. 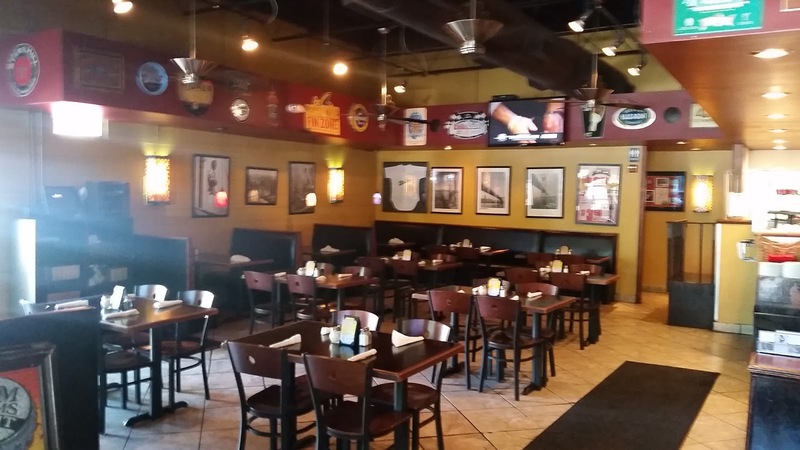 What’s your favorite pizza hangout? Pete Skeris took me there when we were attending a class in uptown. It was great! Looks like a fun place and the food looks delicious. Our first time there, too, Kirk. We would definitely go back! Kirk, I bet you didn't have the cannoli's. Pizza was great. Thanks Ann, it is a great place. That sounds relaxing, Tanya. Perfect! thanks Tanya, the cannolis were great.